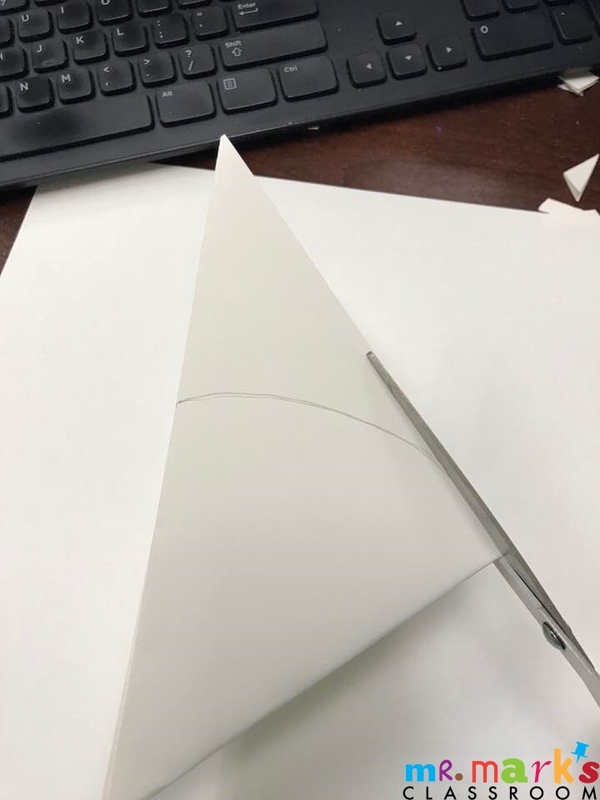 Fold the paper in half corner-to-corner. Fold in half again, and once more. 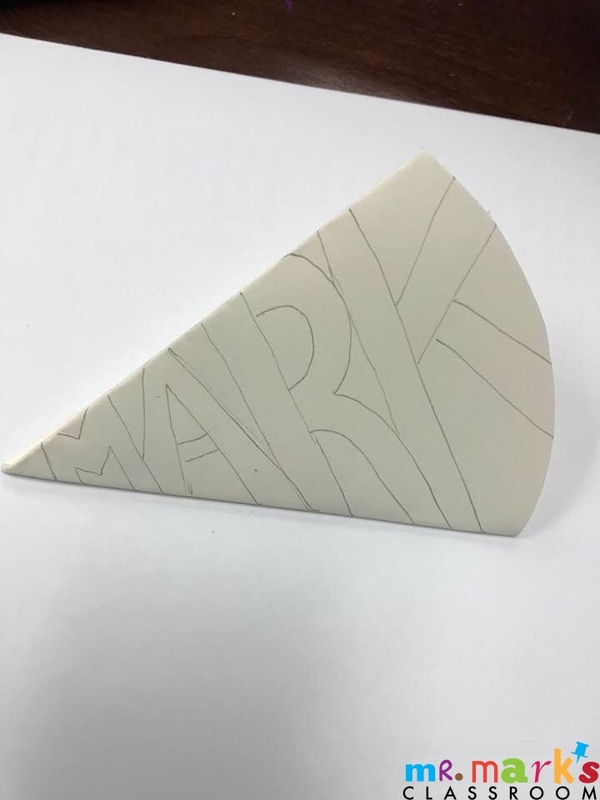 Draw a curve from one side to the other on the wide end and cut so that you have a triangle shape with a point at one end and the curve on the other. Using a pencil, draw your name in fat letters from the inside point to the outside curve. If the child has a very long name, you may have to improvise, shorten or use a nickname or initials. Use the scissors to cut out the paper between the letters. If you must go inside (like the hole in the “R”) cut up inside the r and rotate. Be careful to not cut completely through so that the letters stay attached. Open carefully to reveal your name snowflake! This activity is a good January activity (SNOW!). 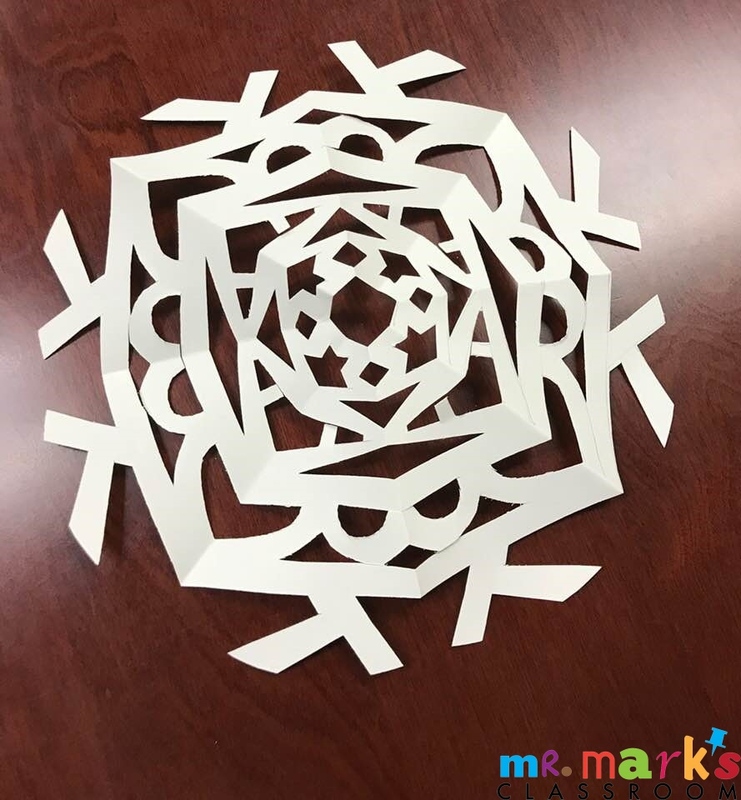 It is also a great way to show that God made each of us unique, just like a snowflake!